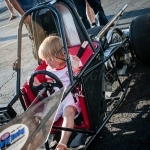 Thursday June 21st was the third week for Cruise Nights in Wood Dale (Georgetown Square) and things were hoppin’. 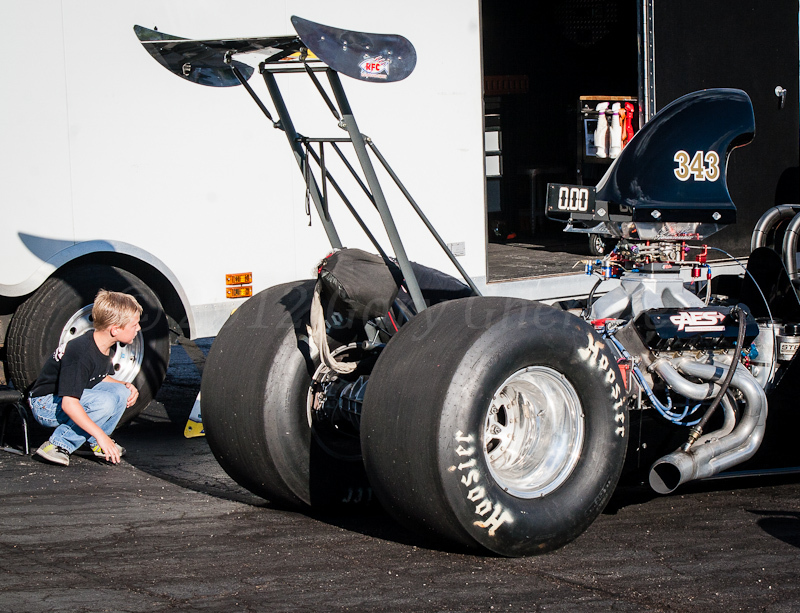 All of a sudden I hear the roar of this rail-job and took some photos. 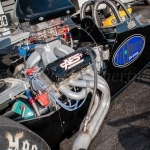 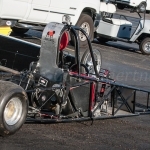 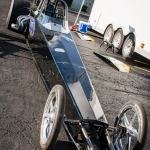 The motor is a bored and stroked Chevy 454; it’s normally asiprated and runs on nitrous oxide. 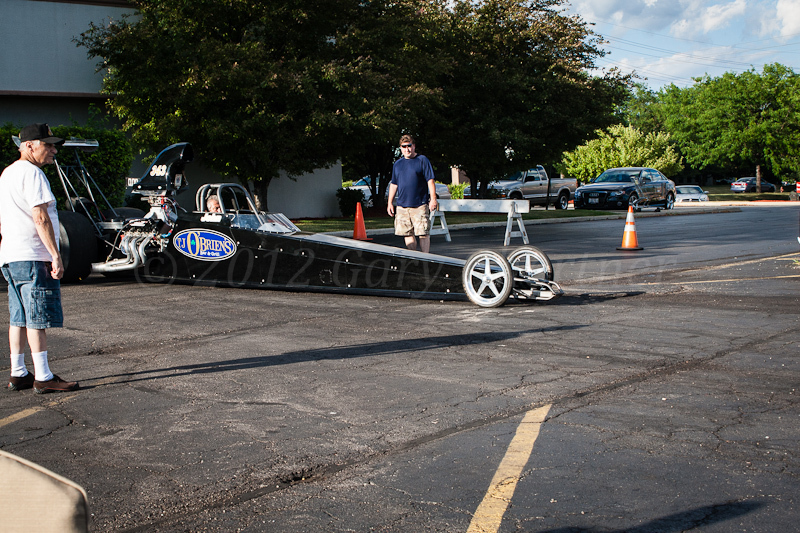 John races in ‘bracket races‘ against some supercharged machines but the races are handicapped so the other car might be first through the 1/4 mile but lose. 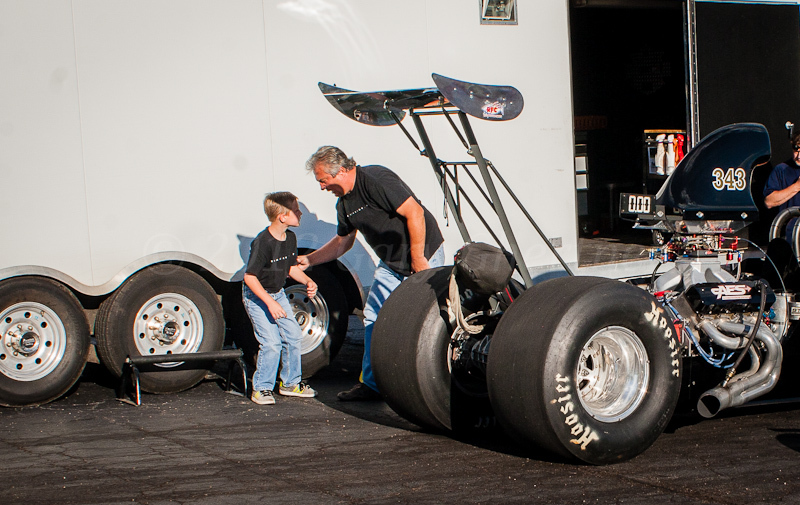 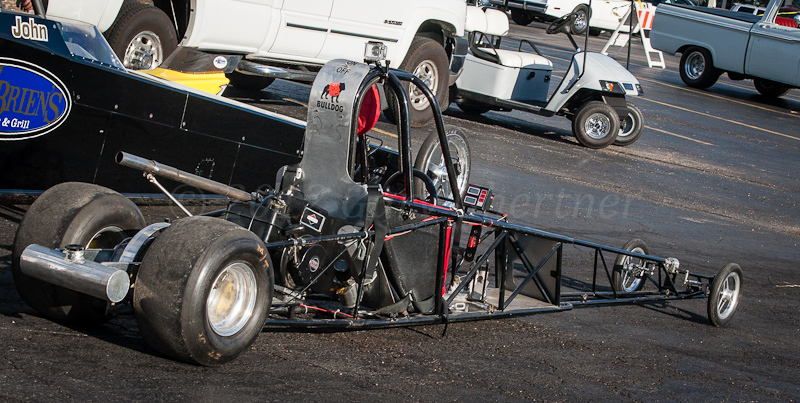 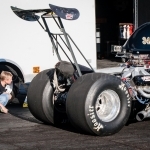 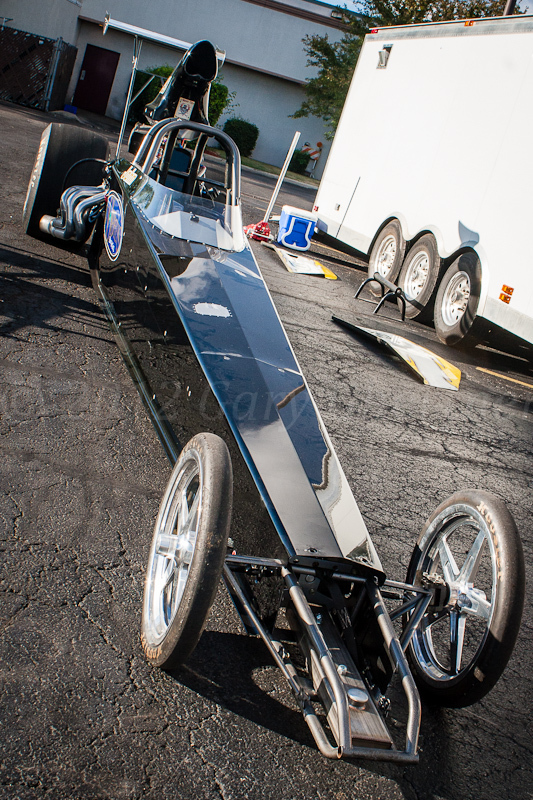 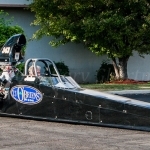 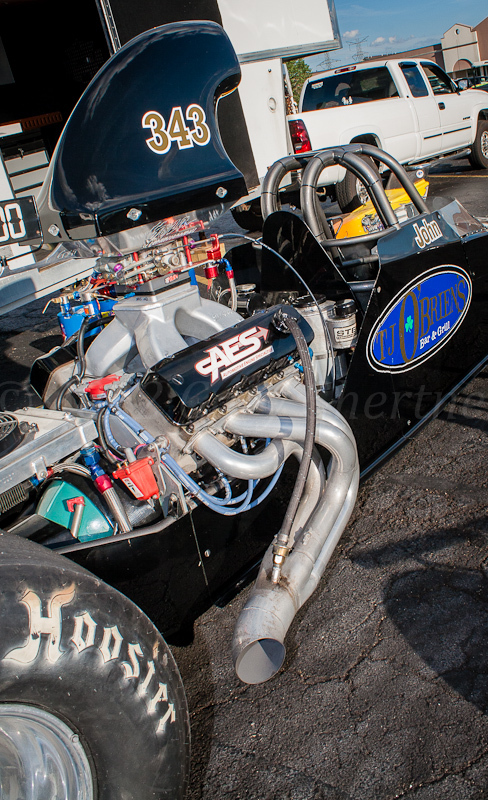 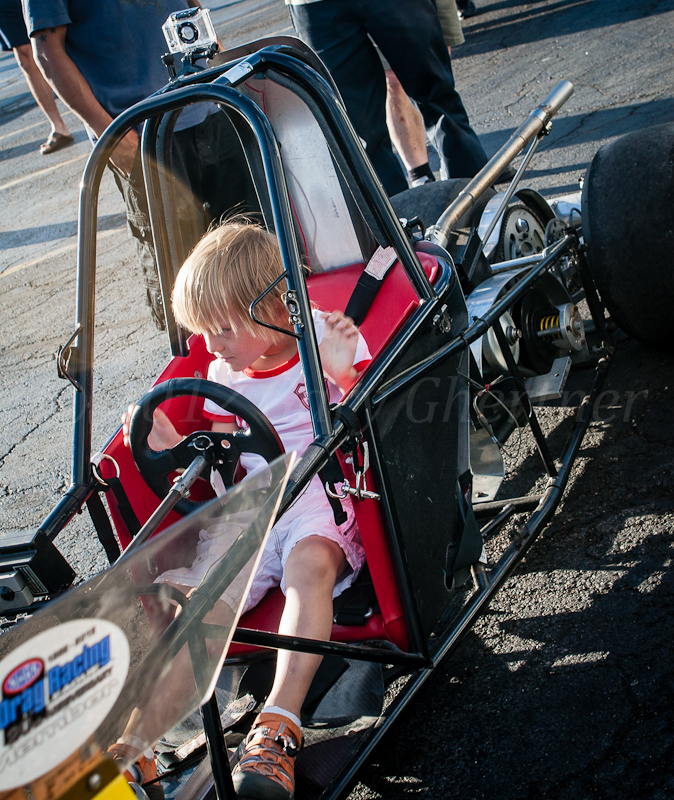 His son was there with a ‘kid-sized’ dragster but I didn’t have time to inquire if the youngster did much racing.